Upon joining the RRL team full time, there was one retail store in its famed 271 Mulberry Street location in Soho NYC. During Kevin's years with the brand two additional shops were opened (LA + Paris). All three were merchandised with RRL + vintage product as well as furniture, accessories, and jewelry. Store change overs were only carried out by the VP of Design, Retail GM, or Kevin so a focused direction could be upheld for both the Brand ID and the Brand Experience that each customer encountered. The RRL was a small team of product designers, the VP of design, and Kevin as the sole Concept Designer. 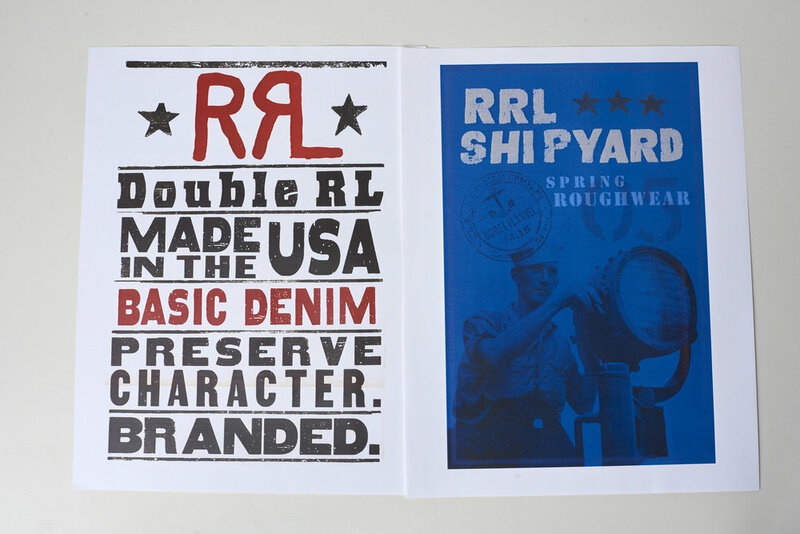 Each member cross-worked on a variety of projects within the world of RRL so the brand could be showcased with a focused identity in all the channels of exposure. One of the responsibilities Kevin held was to handle all graphic design + production of advertising, pr, and design materials. This included designing graphics for apparel, mood boards for concept, PR materials, in-store signage, and packaging + on-product labeling. 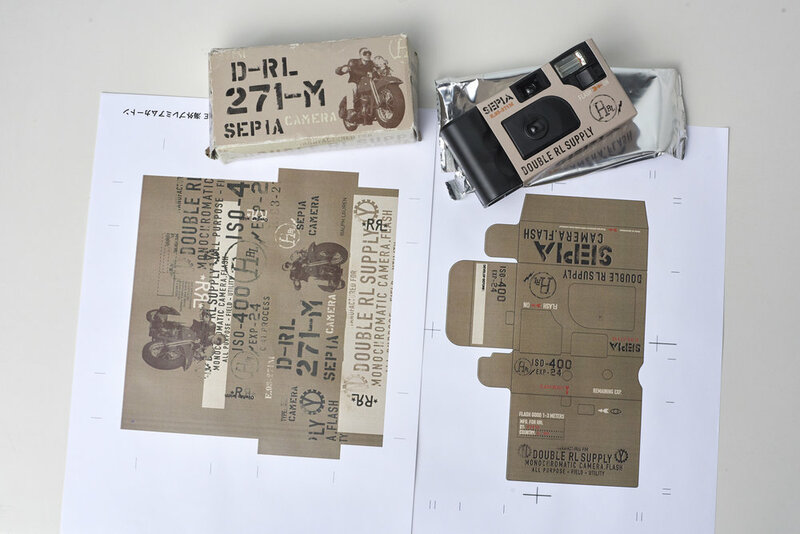 It also included ensuring the look of the brand was shown in all rigs displayed in printed materials, retail displays, showrooms, and the first appearance of RRL on the Ralph Lauren runway.